There's an art home and a right place for every artist. Contact the studio if you're not sure the best fit for you as we're happy to help! Ideal for students who like just a little more exclusive setting. Work one on one with Instructors, to get tailored instruction and education. 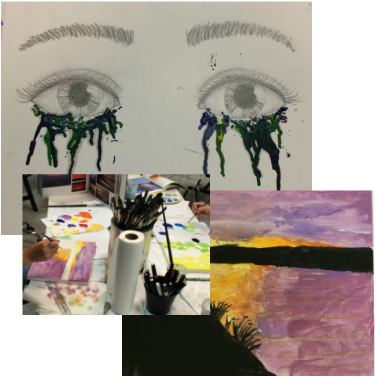 ​For artists of all levels, the curriculum is highly individualized with the artists' input of their interests and goals. For grown ups of all levels. Explore your creativity or push your skills with new projects, techniques and professional grade materials. Each class is kept small and allows for individual focuses and interests while providing support, supplies, resources and a fun space.